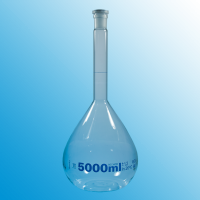 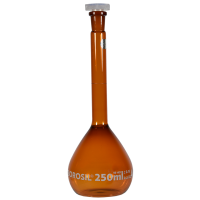 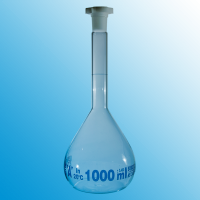 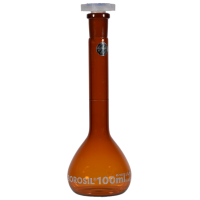 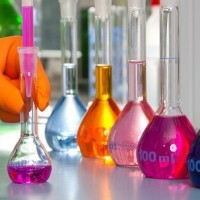 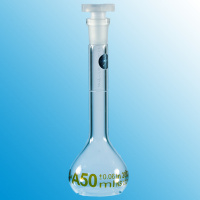 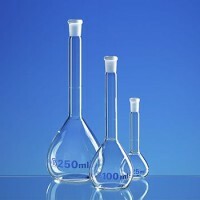 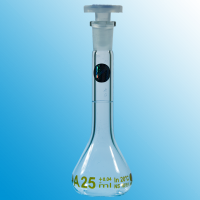 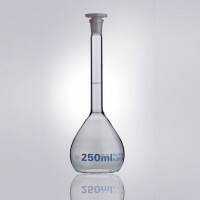 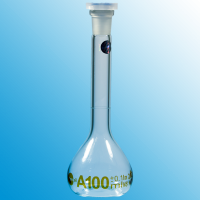 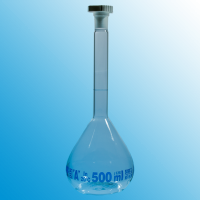 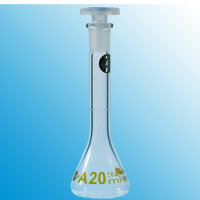 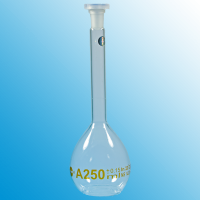 Precision glass volumetric flasks for laboratory applications. 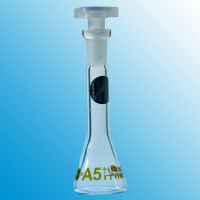 Amber Enamel Graduations, Borosilicate glass 3.3, Class A, ISO/DIN 1042 Batch Certified Ea. 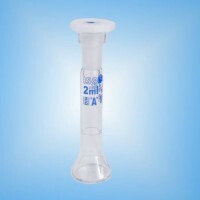 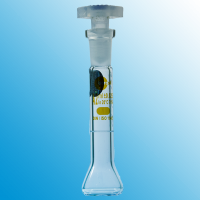 Class A, clear glass, permanent blue description, PP-stopper, ea. 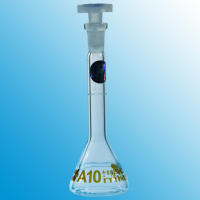 Class A, clear glass, inscriptions in blue enamel, PP-stopper, 1 ea.